Even though it doesn't feel much like summer in Seattle, we're churning out some ice cream today. This happens to be one of my favorite ice creams, one of the best to come out of my kitchen. Best of all, it only required 10 minutes to throw together. 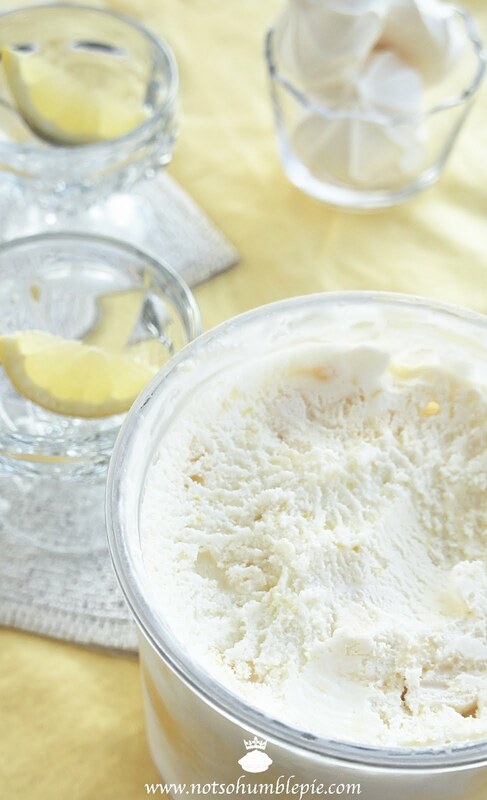 A bright lemony ice cream with swirls of lemon curd and bites of softened meringue cookies. A pie in a pint (or a quart). No baking or stove top custard making required. The speed with which I assembled the ice cream is thanks largely to a couple guilty short cuts: a jar of store bought lemon curd and a box of meringue cookies. Now, these two items are not difficult to make at home and you should feel free to substitute homemade curd and cookies. 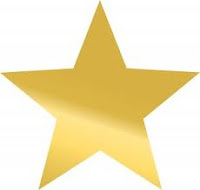 For your extra effort your ice cream will be that much more delicious and you'll also receive this gold star. However if you're like me, you may find yourself wanting to make crazy-delicious ice cream while still juggling everything else that's going on. Like testing a half dozen other ideas for the blog... or keeping your toddler from coloring the sofa or your new baby pink with chalk. In which case it is perfectly okay to take a couple shortcuts. You have my permission. The ice cream will be delicious either way and with such a gorgeous flavor, no one will judge you or think that you're slipping into whatever semi-homemade madness that plagues that poor Sandra Lee. Whisk all the ingredients together in a large bowl. Allow to stand for 20 minutes at room temperature, whisking every couple minutes to help dissolve the sugar. You may then strain out the lemon zest if desired. However, I find that zest from a microplane is so fine and fluffy that it is best left in the ice cream for more bright, fresh lemon flavor. Chill this mixture for 3 hours until very cold and then you're ready to churn. 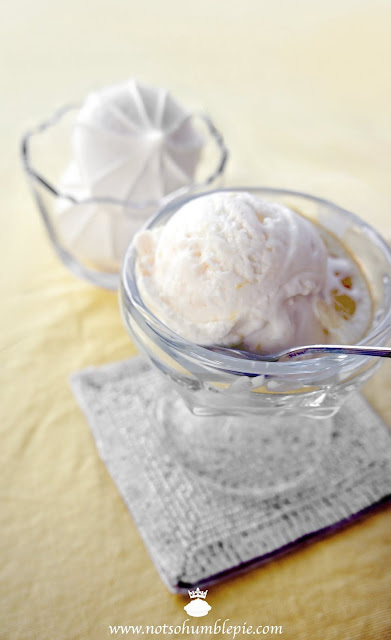 Add the mixture to your ice cream maker and churn according to the manufacturer's instructions. Once finished, quickly stir in the chopped meringue cookies and then transfer the mixture into the freezing container. Layer the ice cream with large spoonfuls of the lemon curd. Seal the container and freeze until firm. The meringue cookies will start out crisp (tasty) in the ice cream but will eventually soften (also tasty), given enough time in the freezer. Serve, garnishing with any remaining meringue cookies. (I've been getting emails with this latest round of ice cream posts, asking where I buy my clear ice cream containers. So for those of you who desire pretty clear crocks for your ice cream, you can find them here. I coloured my parents white leather couch in with crayons when I was little while they slept. The story gets told a lot now, but they were so mad at the time they didn't think to take a photo. WOW! I think I will be making this very very soon! i wish i had a big bowl of this right NOW! dang! This looks like a dream. Love it! Thanks for the inspiration! Perfect for summer, and so easy! This looks and sounds amazing. I have some Meyer Lemon curd in the fridge and I think it'll be perfect in this ice cream! YUM! I'm crazy for anything lemon, and this is so unusual. I love the icy whiteness of your photos! Would you have any awesome nougat recipes? The chewy ones? Please feature nougats!! Nougat is a tough one. I will likely do it for the blog someday though, since I love candy making. Which style do you like best, Joey? I've been wanting to try this for a while, and your ice cream looks awesome. WIll definitely be churning this up asap. That looks awesome! What kind of ice cream maker did you use to make that?